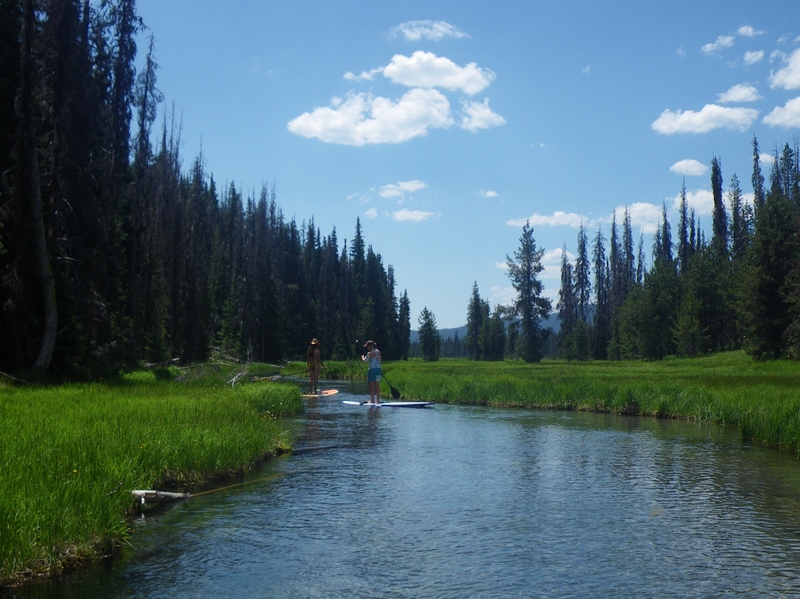 Serenity of the Paddle (SOP) could be an acronym we’ve all experienced but haven’t exactly named. It came to me during a paddle in early October. During the week before and after the 2012 Battle of the Paddle the Facebook and Twitter buzz was both cool and amazing. Even for those of us not at the beach at Doheny State Beach the energy was electric. From photos to videos, from elite racers and sponsors to the enthusiastic SUP athlete with a camera or a buddy on shore we got a full perspective story. One such video from Surftech SUP is such an example. There’s tons of press, flash and splash around the incredible stories, talent and accomplishments generated by events of that magnitude. No wonder we all want to be a part of the energy. Perhaps the draw of standup paddling is its simple diversity of personality. Without warning, a completely different type of SUP experience can capture us with an equal, yet opposite, energy. Serenity. The Saturday after BOP I went with my husband Ed and two good friends up to one of the clearest Cascade Lakes you’ll ever see – Hosmer Lake. Sitting in an embrace of South Sister and Mt. Bachelor, just behind Elk Lake, Hosmer is a spring-fed lake is actually two small lakes connected by a short channel. In the crystal clear waters, you can easily see the trout and stocked Atlantic salmon that are the quarry of catch-and-release anglers here. We paddled across the first, wide section of Hosmer. Even though we’ve paddled here hundreds of times we could help but comment on the beauty, the wonder and how amazing it is to have this lake so close to home. 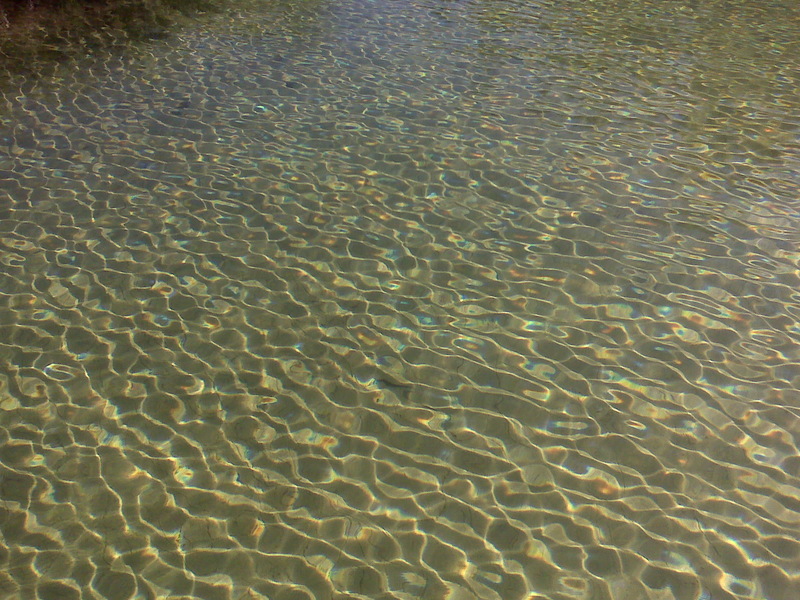 Even though we were a group of four paddlers, for a good part of the paddle we were together – but alone in our immersion in the color of the sky (cloudless and blue) the texture of the water (gently breeze rippled) and the play of light and shadow on the white sandy bottom below gin clear water. 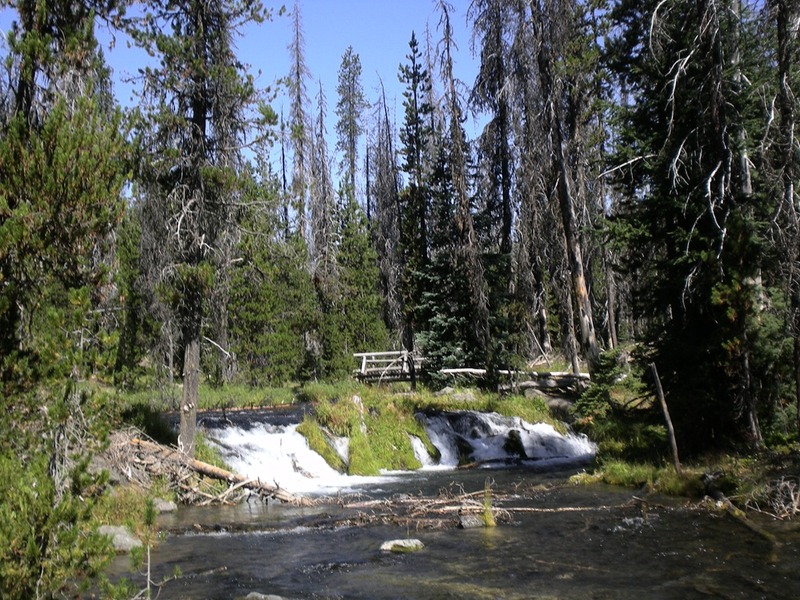 There is a narrow stream in the far westerly corner of the lake that winds upstream toward a rushing waterfall that seems to deliver last year’s Mt. Bachelor snow toward our summer bare feet. Usually in the quarter mile meandering up that stream it’s required to stand almost in a hang-ten stance in order to get the skeg up out of the water enough to clear the logs, rocks and shallow spots. On this day the depth of the stream added even more serene observations to our journey. River teeth, a treasure I love to find after reading Oregon author, David James Duncan’s book by the same name, were everywhere. It was a photographer’s dream – light on rocks, shadows on logs, sculpted sand playing in the light and shaping around currents and the brilliant greens of the shoreline grasses. 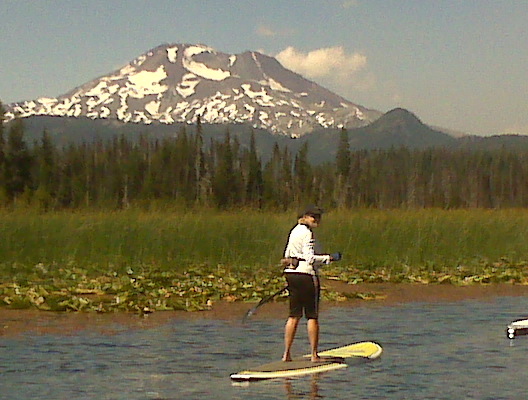 From the SUP Perspective it’s an endless adventure in serenity if that’s what we’re looking for on any given day. Where do you find your SOP? 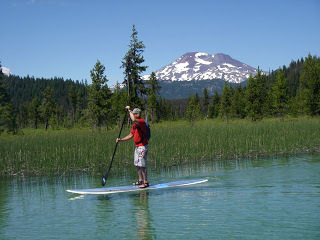 This entry was posted in Lakes & Bays and tagged Cascade Lakes, David James Duncan, Doheny State Beach, Facebook, Mount Bachelor, Serenity, SUP, Twitter by Water Words. Bookmark the permalink.